The ShareASale Holiday Party typically includes a White Elephant Gift Exchange. Drawing from this experience, I’ve come to the conclusion that office gifts, or gifts for your co-worker should be fun, humorous and under $50. 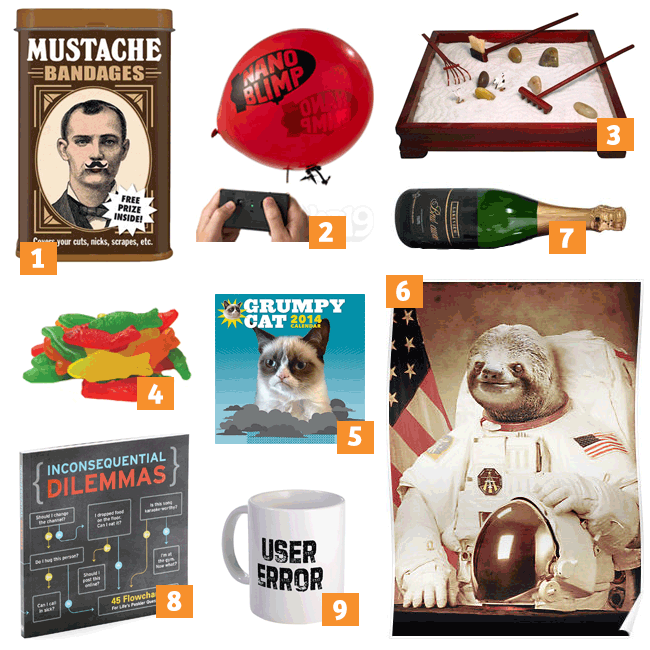 I drew a little inspiration from the past three White Elephant Exchanges to create today’s gift guide. These are all gifts I would expect to see at a ShareASale Party.